Back in the late seventies I grew up on a diet of movies and books, the ones that stuck were the post apocalyptic adventures. There was something about being stranded in an empty world, picking over the ruins left by society that appealed to me deep down, I mean really deep down. Once we had a VHS the rabbit hole got deeper and classics like ‘Damnation Alley’ or ‘The Omega Man’ were trotted out regularly. For the millennials amongst us, ‘The Omega Man’ was the movie rebooted as ‘I Am Legend’ with the freshter himself Will Smith in the lead. Anyway, games gave me more of the same and as they grew the experience deepened, hence the love for Fallout games – there must be a pile of Doomsday Lovers, enjoying the wastelands of whatever disaster is thrown at us. I’m generally not about the mission, I’m all for poking around corners, marvelling at the world building and emptying as many cabinets as I can. 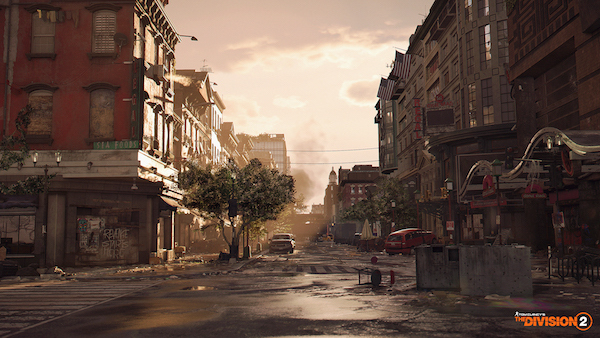 The first Division (coincidentally reviewed end of March 2016) was the game that sold me the PS4, seeing that image (in game) of an Agent walking down the most photo realistic street I had ever seen blew my mind. Then the hype train promised more, info came thick and fast and there was even an app that would let you hook into games and control a drone… well, there was almost an app that did that. 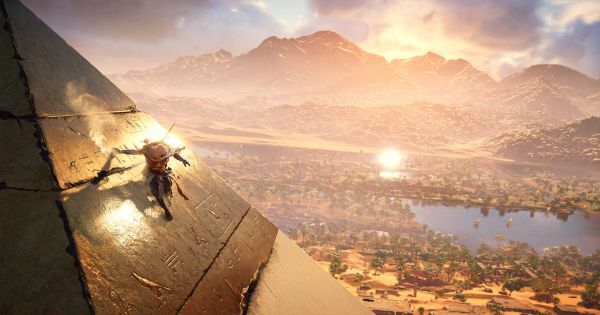 The game itself did not disappoint, the environment was stunning, weapons galore and skills and co-op, it was all great until the missions became a bit samey and the grind, well, ground to a halt. The other issue was not having enough time to play it fully, once I got to a certain level/area progress just didn’t feel like fun and other games started to take precedence. That is sometimes just how it is. 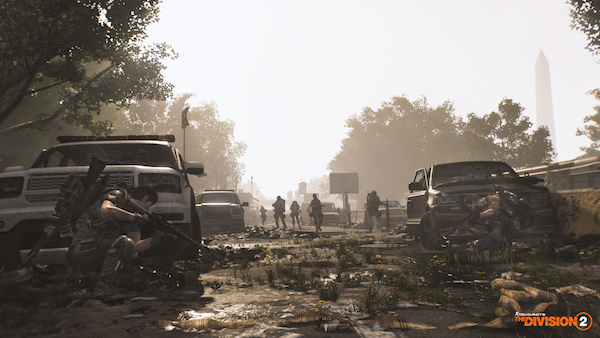 Here we are three years later in 2019, the world we live in is bit more crazy, while the world of The Division has moved on about seven months, which is allegedly enough time for you to have cleaned up New York. Once you get the introduction out of the way and open up your path to the White House the game kicks in proper and boy, it really delivers straight up. The world building is stunning, set in Washington which is a place I have only visited virtually, you are tasked with reclaiming control and establishing some form of order and as you go about your business become familiar with Washington. I have to assume that it has been mapped remarkably well, because it fits together beautifully and while traversing on foot makes it feel like a huge map the epicentre of action is fairly localised to most of the famous sites. Not to mention the joy of discovery around each corner or inside each darkened interior, and even though assets are understandably reused the world feels alive and full of unique moments without ever being overly repetitive. Even though the story world has moved on this is DC after seven months clinging to life in the face of anarchy, the snow covered New York Winter has gone and you are now picking through overgrown ruins in Summer, but often surrounded by eerie Christmas Decorations. The atmosphere is palpable and as in the first game, walking around the silent streets can often be fear inducing in itself. Especially when the silence is broken by an animal, a skittering deer or a random out of place noise. Then picking up the echoes of live fire on the streets points you toward an encounter of sorts, these are easier to approach because you and your AI interface can spot the threats and let you settle in. The other side of that coin is randomly running into a wandering group and both sides being startled before scrambling for cover. Chaos ensues. There is no doubt The Division is on brand for Ubisoft and their Tom Clancy stable, especially as the traversing, weapon handling, cover system, point to point movement, gadgets and quality are pretty much the results of distillation from its brothers and sisters. 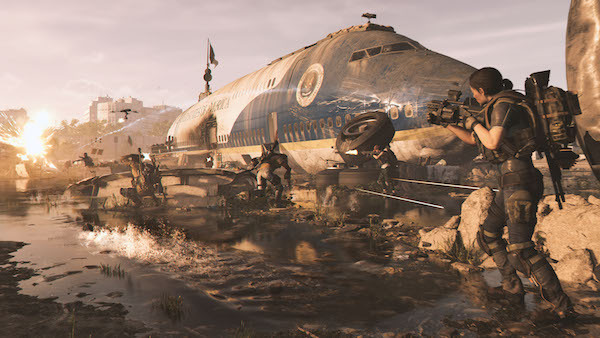 That’s a good thing by the way, all the tricks learnt by Ghost Recon over the years taken off the top and snapped naturally into place in The Division 2. 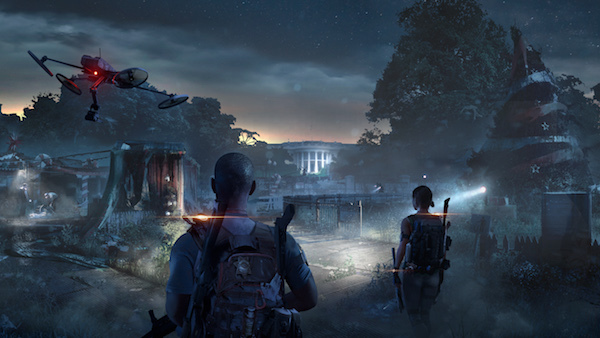 The game flows freely from roaming to combat, to missions and matchmaking on the fly, even wandering through the settlements and White House base can reap rewards, even as you finish a tough mission or Stronghold in the early hours it is all too easy to get sucked into another scrap because its happening somewhere in your middle distance. Mission structure has not changed and you progress through checkpoints with handy ammo restock boxes in each quiet space. This is good and you soon get to read the signs of when an area will be swamped with multiple waves or start thinking to best place to through up a turret. I am progressing slowly through the game as I alluded to earlier, I have spent a portion on my own due to time differences, but it comes alive when you team up with friends. Randoms can be handy to help out in a fight whatever their level, but more often that not they keep to themselves. However party up with a squad of mates and you can roll some levels pretty quickly, working together and throwing out banter. You also get to share some loot, which is always nice. Dark Zones are also back, the concept is the same as last time. Risk vs Reward in a confined area of more badass enemies and morally questionable humans. It can go well or it can turn to custard, either way its fun as you collect loot then fight over an airlift to get it out of there safely and back to your stash. The game also forces you into the Dark Zone in a tutorial experience, which is okay, but I liked the dread and trepidation I got from the first Division as I refused to take the leap and get inside the sinister and foreboding area of the map. Once the main missions are done and you level up to the end game, which at the moment I am still a way off, then things get harder and more interesting. Its all about the hunt for better gear and exotic loot, replay missions, hunt bounties, tackle some PvP or spend time in the Dark Zones. Whatever your poison it will be a blast, because the DLC is coming thick and fast this year with a whole slew of content starting to drop. 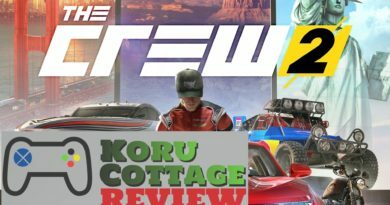 The developers have taken a very polished game, listened to any criticism and loaded it for bear. Everything is better and the game has long, long legs. 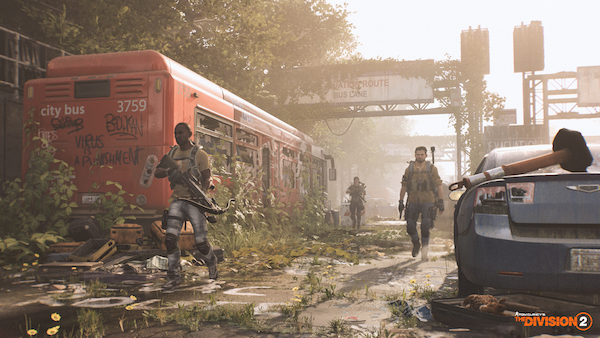 Whatever you get out of The Division 2 right now, it won’t be the same thing you get later and I’m sure once the loot collecting hook lands there’ll be some fresh converts joining the gang. 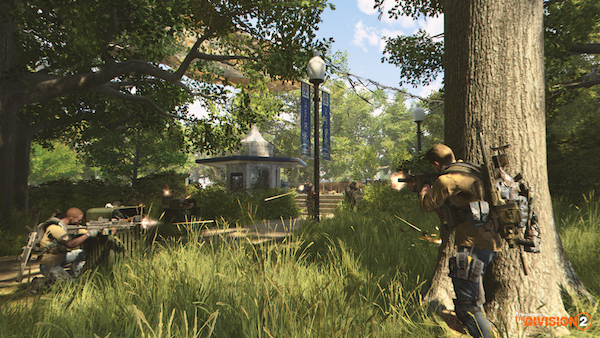 The Division 2 is a rare beast, its a game that arrived fully finished, fully tested and fully delivers on its promises. Me, I’ll still be filling my kleptomaniac pockets as I trawl my way through the incredibly detailed vision of Washington.